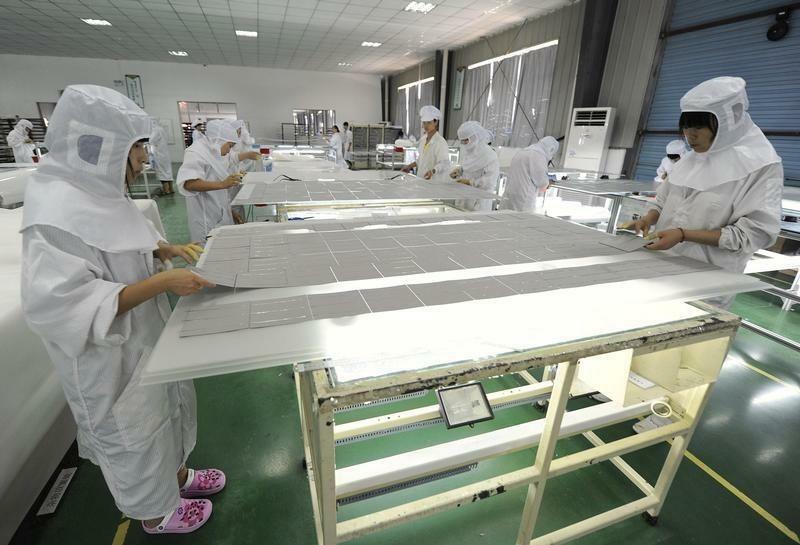 WASHINGTON (Reuters) - Solar products from China and Taiwan do not compete with U.S.-made goods, foreign producers told the U.S. International Trade Commission on Monday, as they sought to avert import duties. The U.S. arm of German solar manufacturer SolarWorld AG (SWVG.DE) complained Chinese solar producers were able to sidestep duties imposed in 2012 by sourcing cells used in solar panels from Taiwan, and the U.S. Commerce department has already set preliminary duties on products from both countries. "Chinese and Taiwanese imports have taken over the U.S. market at precisely the time when U.S. producers should have recovered and thrived. Instead, the U.S. industry is again fighting for its survival," said SolarWorld counsel Tim Brightbill, from the Washington law firm Wiley Rein LLP. Several U.S. solar firms told the ITC, which must rule on whether the imports hurt local producers, that they relied on imported cells because U.S.-made alternatives did not meet the right specifications. "U.S. suppliers cannot supply the high efficiency cells and high wattage modules that we use for our projects. For this reason, in our experience, the U.S. solar products are not interchangeable with the solar products we import," said Polly Shaw, vice president of government affairs at solar technology firm SunEdison (SUNE.N). Austin Chiu, general counsel for Taiwan's Neo Solar Power <3576.TW>, also representing the Taiwan Photovoltaic Industry Association, said Taiwanese cells helped U.S. module assemblers. "They must rely on Taiwan cells because they cannot get the cells they need from SolarWorld or Suniva," Chiu said, referring to the U.S. cell producers. Ardes Johnson, SolarWorld's vice president of sales, said the preliminary duties had stemmed a price "freefall" but many foreign producers had specifically told customers that they would drop prices again if duties were not confirmed by the ITC and Commerce. "SolarWorld has increased its sales in recent months, with the trade duties in place. But if the duties go away, our sales agreements would be in jeopardy," he said. Gary Shaver, president of solar module manufacturer Silicon Energy, said he shared SolarWorld's concerns about a rush of cheap, subsidized imports depressing prices and eroding market share. "The American solar industry, including small producers like Silicon Energy, has been devastated by the unfair trade practices of Chinese and Taiwanese solar producers," he said. The Commerce Department is due to make its final decision by Dec. 15 and the ITC by Jan. 29.